The Ruth Lee GEN2 Working at Height Training Manikin is an extremely durable manikin for Working at Height training involving many different types of high elevation rescue scenarios. Specifically designed for training in rescues involving Wind Turbines, Telecommunications, Stage and Theatre, Scaffolding, Police & Military, Maritime, Factories & Industry, Fire & Rescue, Cleaning and Maintenance, Construction, Pole Top and Tower Rescues. The Working at Height manikin is considered to be the industry standard for this type of training. The Working at Height manikin is essentially a combination of the Ruth Lee General Duty and the Offshore manikins - construction is the same as the General Duty models but the inner chest contains polypropylene plastic strips and closed cell foam, which forms a more rigid structure. This chest-like structure helps the manikin maintain its shape when used with a harness and prevents slumping. Effective, realistic training helps to ensure compliance with the working at height regulations by reducing and controlling the risks involved with working at height. These manikins can help achieve this. Similar in construction to the Duty Range manikins but utilises closed cell foam to the trunk to provide greater rigidity and reduce 'slumping' when using a rescue harness. Tough Polypropylene plastic strips running from the shoulders to the knees (as in the Offshore model) prevents excessive flexing when used aloft. Anatomically correct weight distribution gives the 'feel' of an unconscious person - perfect for pole top or tower rescues. Realistic sizes and weights - will demonstrate the difficulties of dealing with an adult unconscious casualty. Strong Polypropylene webbing loop to the back allows the manikin to be easily hauled into position prior to training. Strong enough to be dropped from 2 or 3 storeys with no damage - these manikins are tough! The Polyester is waterproof, making it suitable for training in wet or dry conditions as it can be easily cleaned and dried. 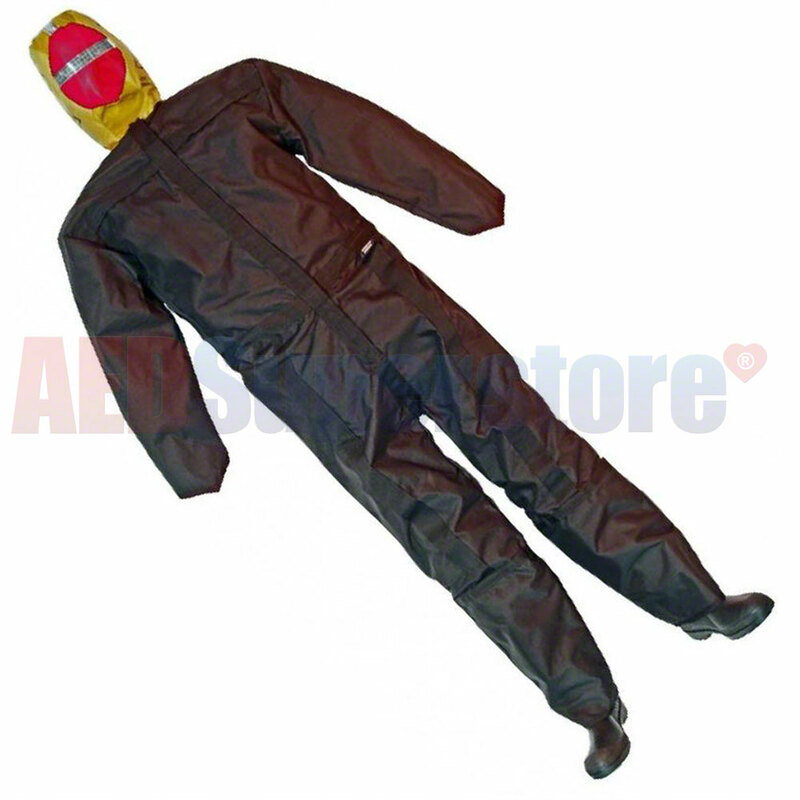 Protective consumables including, coveralls and boots, greatly extended the life of the manikin and help save you costs. Available in 66, 110, and 154 lbs. Select desired weight from the drop-down window above.